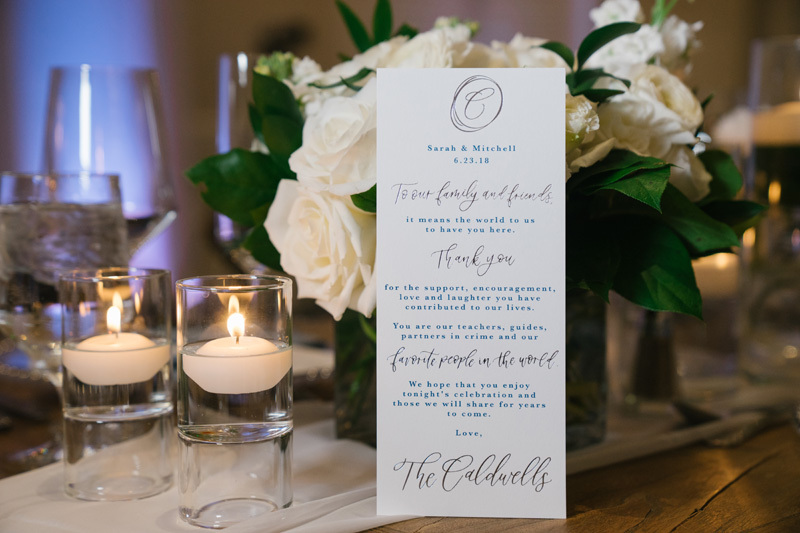 Sarah, Mitchell and their wonderful families were amazing to work with from start to finish. 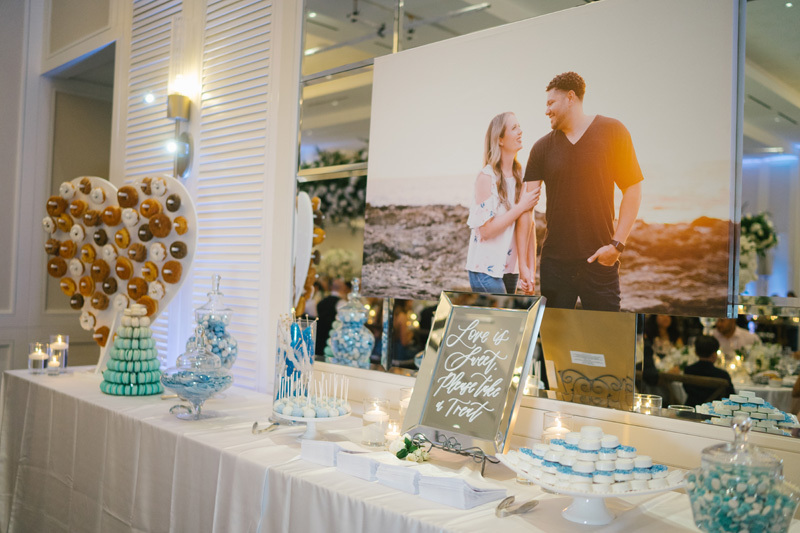 Their wedding turned out to be an absolute dream thanks to the amazing vendor team they had on their special day. 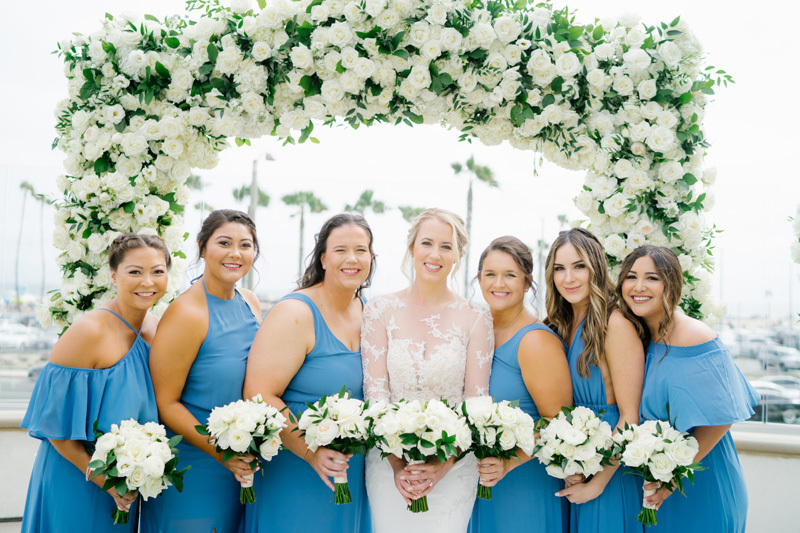 They brought in a lot of blues which was perfect for their beachside resort wedding in Huntington Beach! 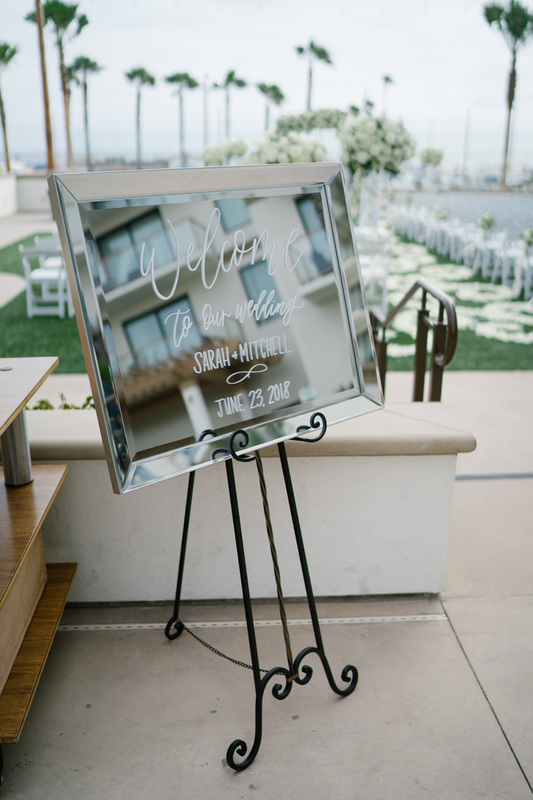 I had the pleasure of doing their invitations, mirror signs, cocktail napkins, laser cut signs and place cards, thank you notes on the tables, thank you cards, and more! 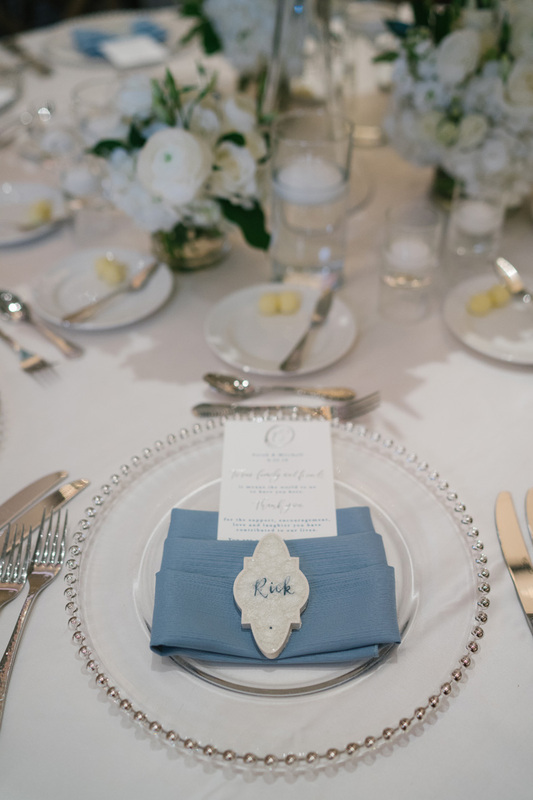 They had so many wonderful details - even an ice sculpture of their monogram!! So awesome! The photos speak for themselves, so check them all out! 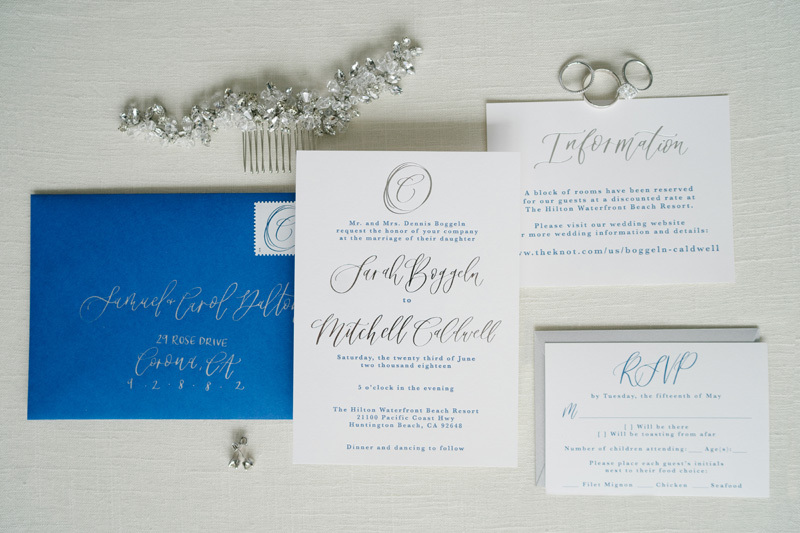 See the wedding featured here on California Wedding Day!